Sometimes someone gives you a bit of advice that changes your plans for the day for the better. “Take the scala mobile” he said; “saves all that walking”. 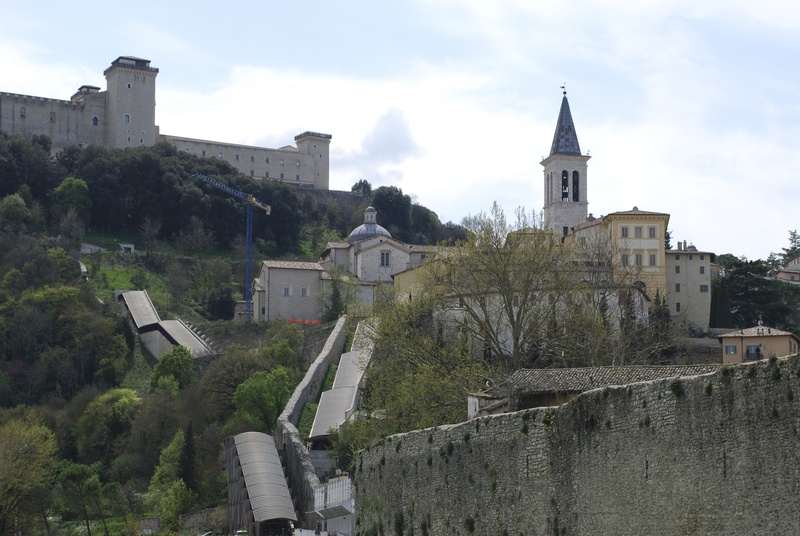 Spoleto, in common with other Umbrian hill towns, does not allow cars (other than residents’ vehicles) to be parked within the city walls. We drew to a halt close to the town gate, and asked a man at the tabaccaio if we were legally parked there; we were. Drawing himself up to his full height he welcomed us to Spoleto, exhibiting a pride in his town we have seen in so many places here. Then he added “Take the scala mobile (escalator) – saves all that walking.” We had intended to march straight through the main gate like a (very small) triumphant army and conquer the town piazza by piazza, hill by hill, but he pointed in the opposite direction so we took his advice; good move. The town was built on the slopes of a steep hill, crowned by a military fortress, La Rocca D’Albornoziana, built in the 13th century to protect the Papal territory. A system of 8 huge escalators carried us to the foot of the Rocca’s walls from where there are impressive views. To one side of the fortress is the 14th century Ponte delle Torri (Bridge of Towers), its ten arches spanning a deep gorge. 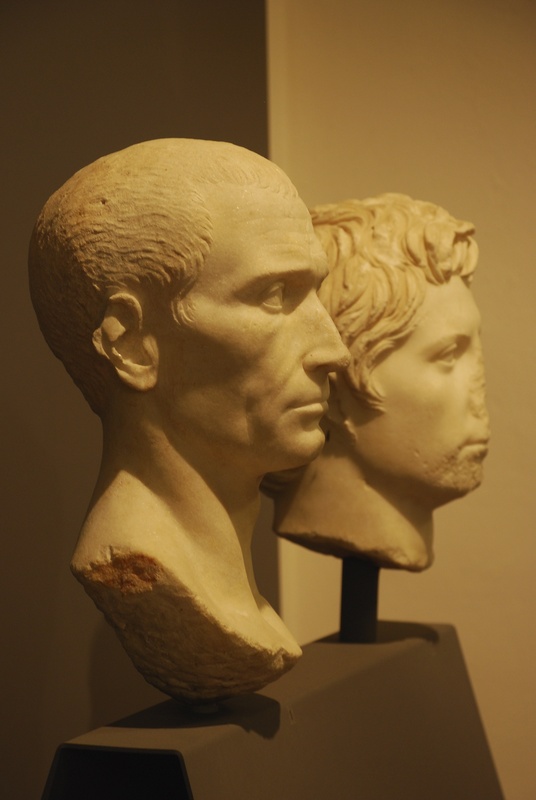 It was likely to have been constructed over the foundations of a Roman aqueduct. 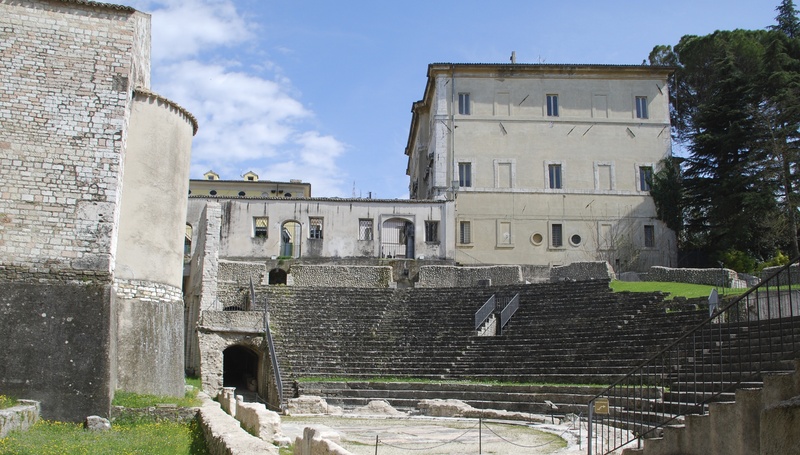 Spoleto has been inhabited since prehistoric times, and its Roman remains can be spotted throughout the historic centre. So much to explore, but first we stopped for lunch. This miniscule cafe had just 2 tables, but the food was local and freshly cooked on a tiny stove inside the adjoining shop. A delicious platter of Umbrian fare for me: bruschetta, cheese, salami and roasted vegetables, and a dish of pasta with truffle for mio marito, washed down with a glass of the local wine. Such a beautifully designed menu. The view from our table was down a scenic stairway to the Duomo (Cathedral) square. Built and consecrated in the 12th century, the Romanesque facade was remodelled during the Renaissance; with its 8 rose windows and gold mosaics glinting in the sun it was an impressive sight. The interior of the church is equally impressive and houses several important works of art. 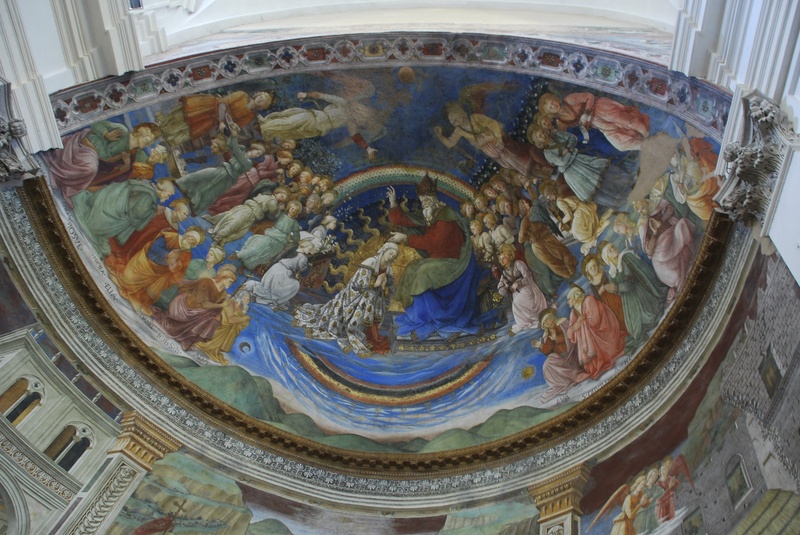 The Capella del Vescovo Constantino Eroli was built in 1497, and is entirely decorated with frescoes by Pintoricchio. 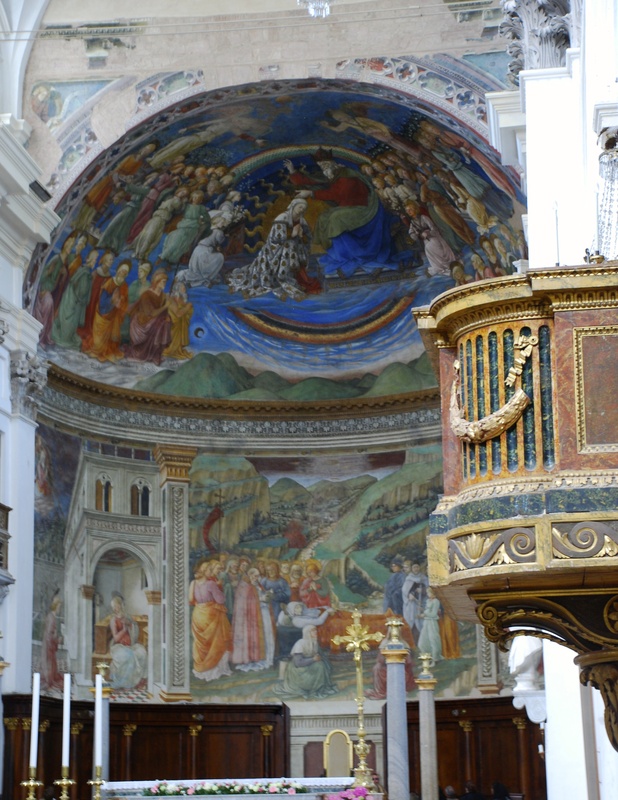 Unlike the Pintoricchio frescoes in Spello’s Santa Maria Maggiore church, you are free to get close to the paintings and revel in their detail and colour. There are other wonderful frescoes in the apse by the monk Filippo Lippi, painted in 1467-69 and portraying subjects including the Annunciation, Transition of the Virgin and Coronation of the Virgin. The sarcophagus of Lippi is also in the cathedral, although the whereabouts of his remains is unknown. 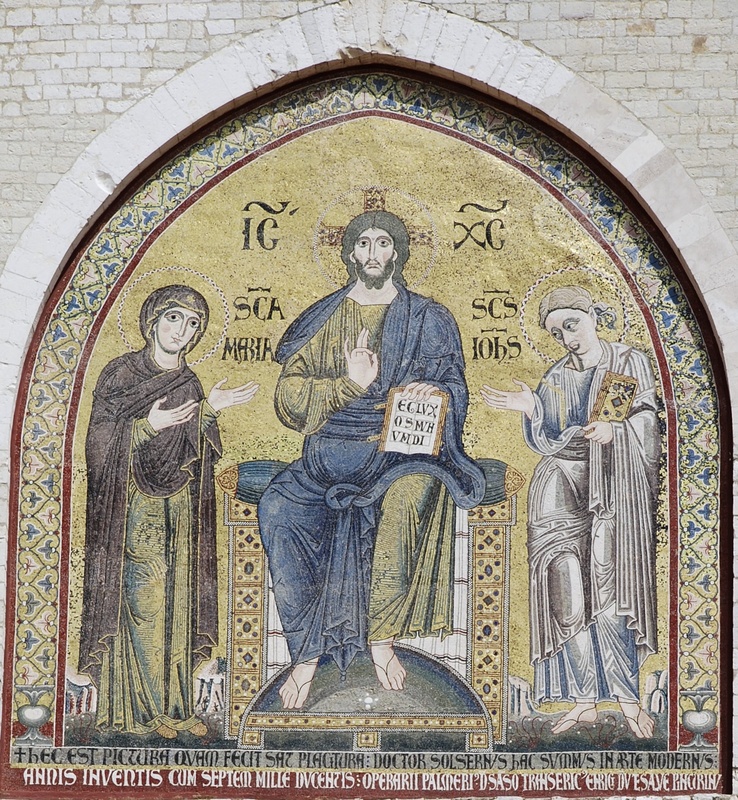 The story goes that shortly after he had completed the frescoes in the Duomo he was poisoned because he had seduced the daughter of a local nobleman. 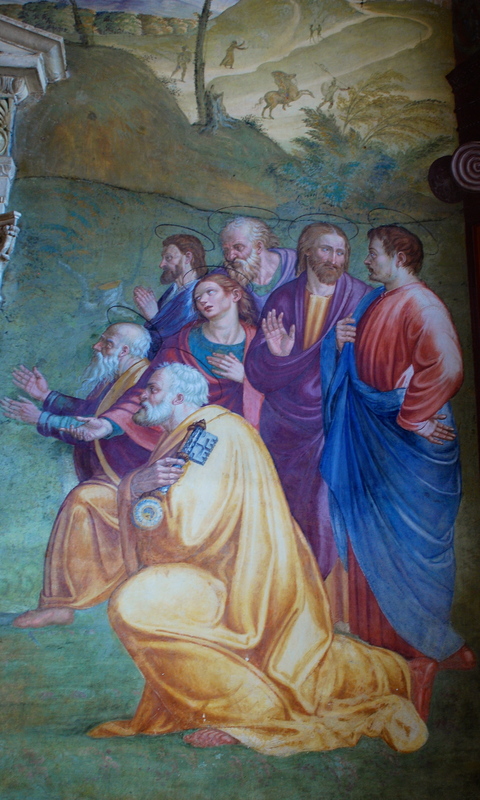 The people of Spoleto were delighted to have the body of the famous painter in their cathedral: the chronicler of the Italian Renaissance, Vasari, remarked that the cathedral was “poorly provided with ornaments, above all with distinguished men”, so he was interred in a tomb designed by his son. The corpse disappeared during restoration two centuries later, perhaps spirited away by the descendants of the unfortunate girl. The cathedral’s facade provides the backdrop to the annual Festival of the Two Worlds where theatre, opera, painting, music and sculpture are featured. The Festival was initiated in 1958 in an attempt to bring together the new and old worlds of Europe and America, and it remains a huge draw for renowned artists and visitors. The Roman theatre, constructed in 1AD, is still used as a venue for the Festival. 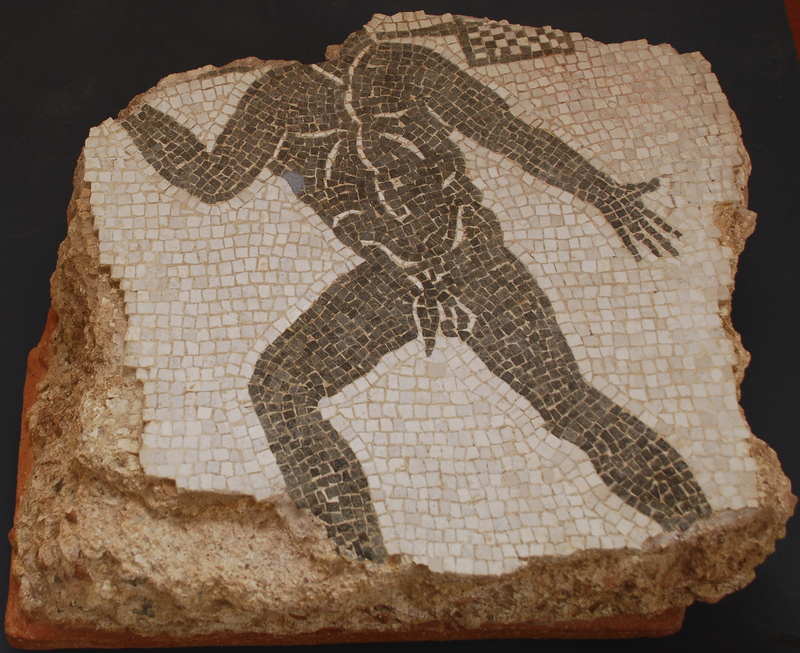 The theatre is now part of the Archaeological Museum which houses Bronze age, Iron age and Roman exhibits, including some fascinating Roman gravestones. The museum is beautifully laid out, and gentle classical music accompanied our visit. It was a shame we were the only 2 visitors! A thoroughly enjoyable day, made even better by that little piece of advice! 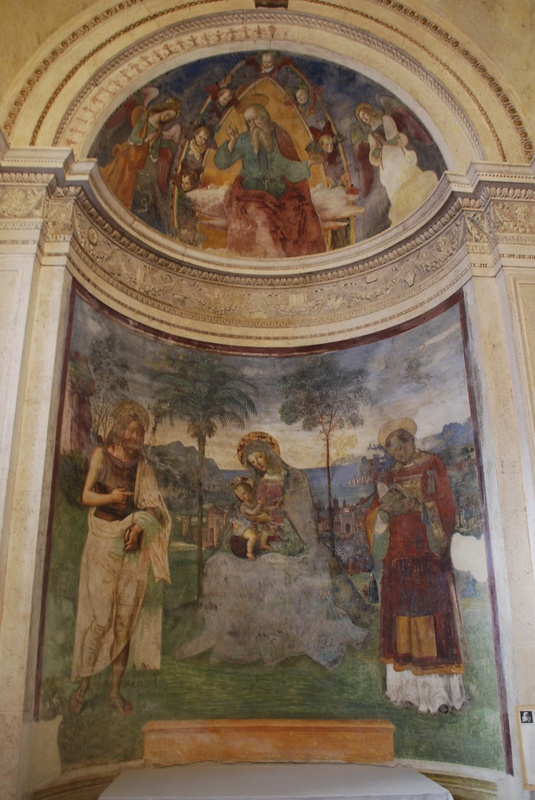 This entry was posted in Umbrian Hill Towns and tagged Archaeological Museum Spoleto, Duomo Spoleto, Filippo Lippi, Pinturicchio, Roman, Roman theatre Spoleto, Spoleto on April 21, 2013 by maryshoobridge. Wow I love this place. The text and pictures are amazing. What fab people you are sharing your experiences with others. Hi Mary this looks fab. 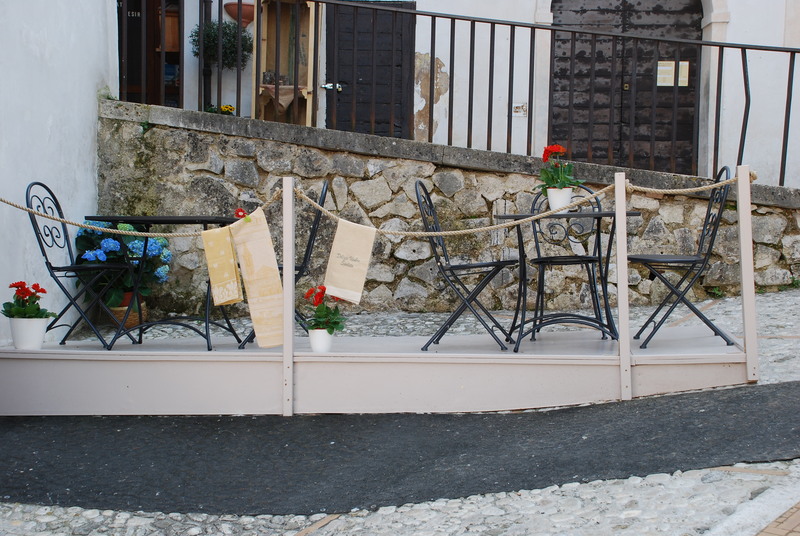 Especially like the tiny restaurant – just brilliant! Loved your article on Spoleto. Beautiful photos. The scale mobili has made a big difference in that we can choose to use it or not depending on our energy levels on any particular day! It was lovely to meet you in Spello and I will continue to view your posts with much interest! Enchanting, another place to add to the growing list. And all very reachable from lovely Spello! 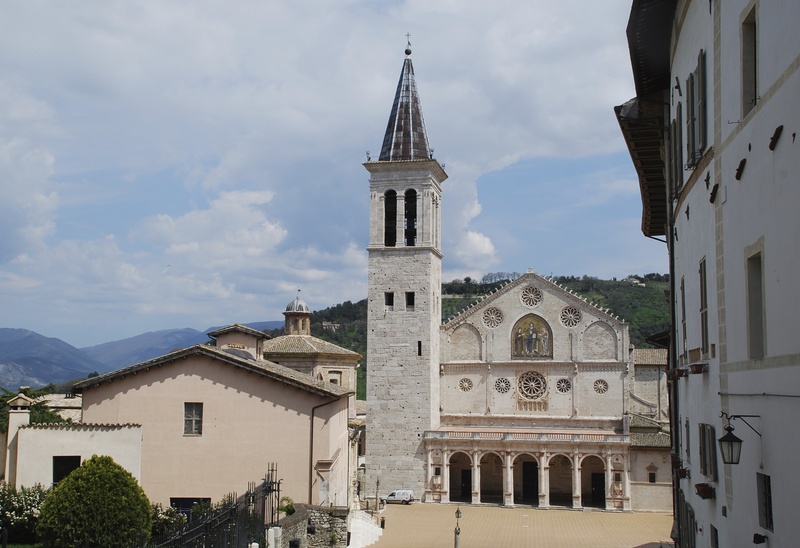 The more I read about the towns you visitied, like Spoleto, the more I want to go there myself. What a place! 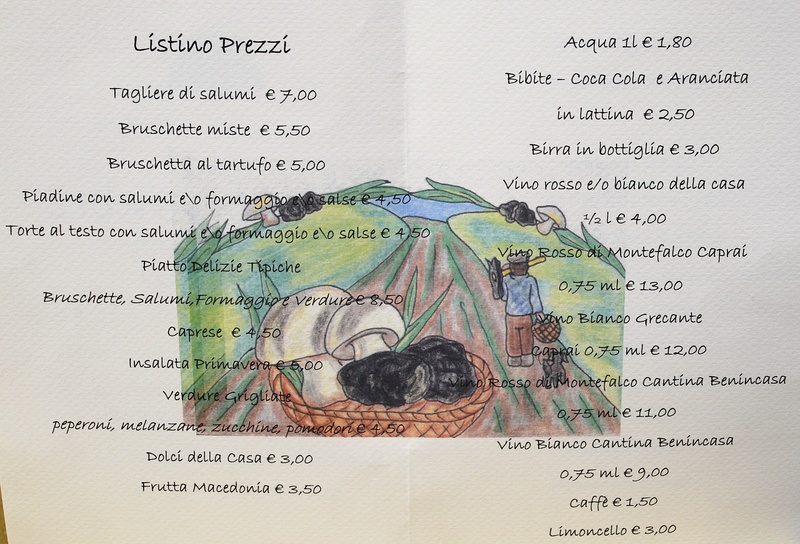 Thanks Otto – I am missing Italy so much…..